Looking for something fun to do with your family on Chol Hamoed, maybe something different and/or naturey, and not too expensive? 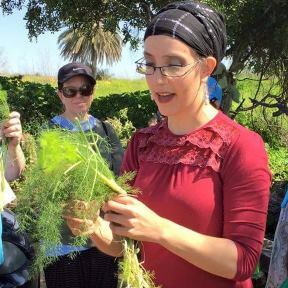 If you're in Jerusalem, Gush Etzion, or Maaleh Adumim, or the general area- come to Ronit Peskin's foraging class for families, where we'll explore the nature around and learn which plants can be used for food, which have first aid and medicinal properties, and which ones are poisonous. Special family pricing- 35/40 shekel per adult, 30/35 if you bring a friend, 5 shekel per kid ages 5-9, 10 shekel per kid 10 and up, with a maximum price of 85/90 shekel per family (parents and their kids only, no extras), 75/80 if you bring another family. (When two prices are listed, the first price listed is the Jerusalem price and the second price for classes outside Jerusalem.) 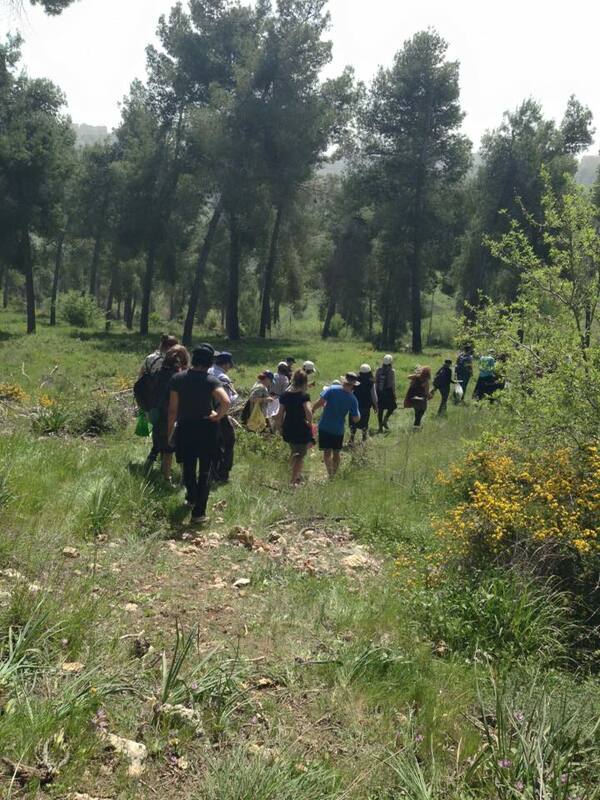 If you've attended a previous foraging class, you get a 10 shekel discount for this class. Individuals are welcome to attend- this is not exclusively for families. Foraging is a fun activity the whole family can enjoy, from toddlers to senior citizens. The trips will be stroller friendly (over rougher terrain, but still a stroller can be pushed). Added bonus- no need to worry because your kid ate something that might be poisonous- your kid will know what is poisonous and what they can eat, and you will know too! Prepay via paypal and receive a free recipe booklet with over 20 recipes made with foraged foods! Gush Etzion- Efrat. Monday, April 25, at 10:30 AM and 5 pm. Behind the library, near the yad shniya- near David Hamelech/Smadar intersection. See here for more information. 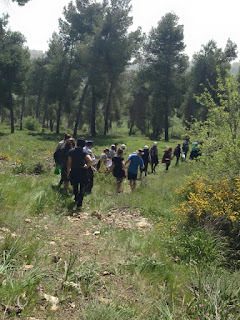 Jerusalem- Ramot Forest. Tuesday April 26, at 10:00 AM. Intersection of Derech Hachoresh and Maale Haoranim Streets. See here for more information. Maaleh Adumim- The Wadi. Wednesday, April 27, at 10:30 AM. Exact location to be determined. See here for more information.